SUNSHINE?! 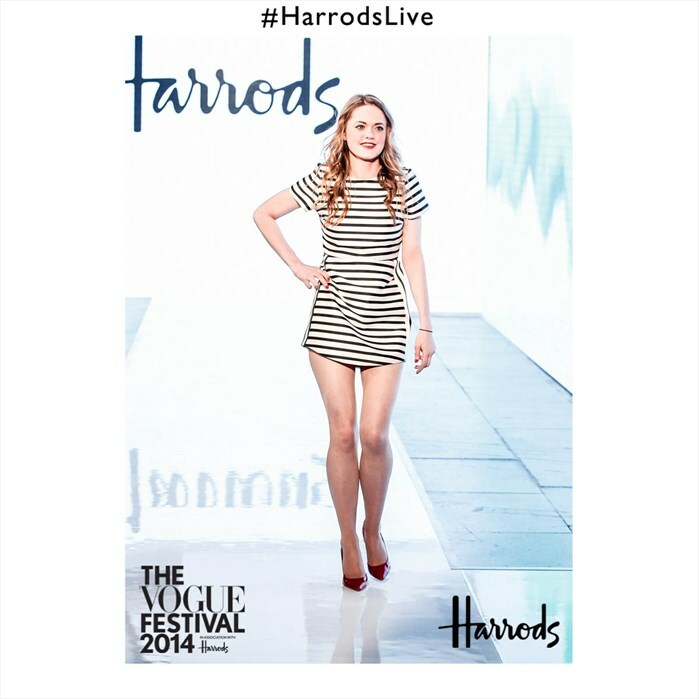 Hallelujah, it was a beautiful weekend in London and what perfect timing for Vogue Festival, the two day extravaganza filled with celebrities, influential individuals, fashionista's, hair and beauty experts and a fabulous fun variety of all things fashion. This year's festival was held at the Queen Elizabeth Hall in the Southbank Centre, situated along the River Thames. 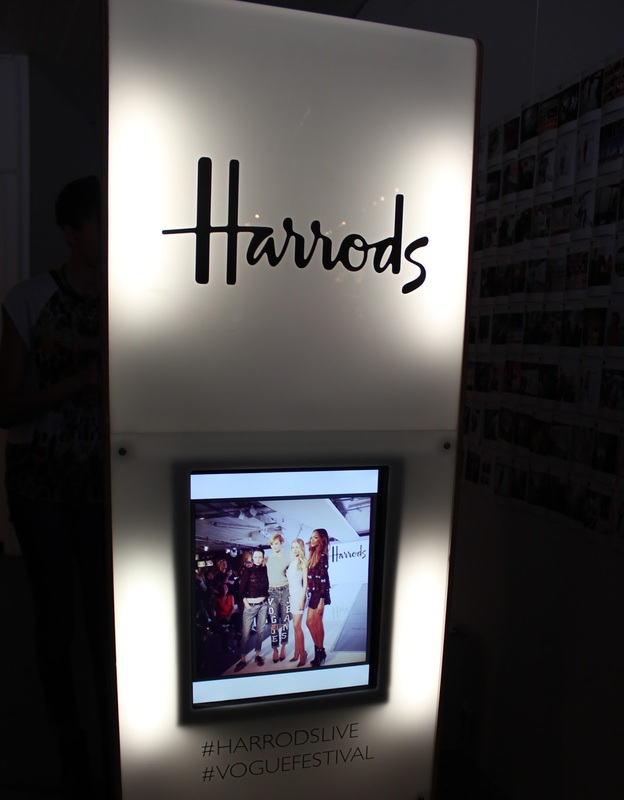 The activities were endless and of course theme Vogue, a Vogue shop, Vogue cafe, Vogue cinema, Vogue cover shoot, oh and all combined with a handful of Harrods and many other incredible brands. 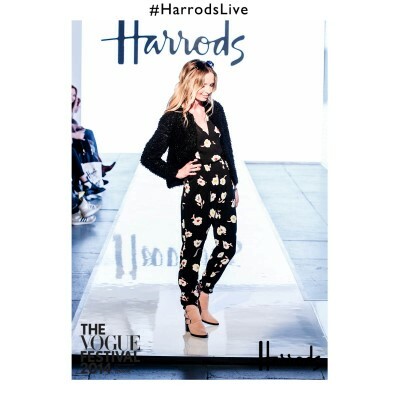 There was something for everyone, from the Harrods juice bar to the Harrods live catwalk and cafe. to add even more glam to the event, Burberry were offering complimentary 'english rose' makeovers, Kérastase were creating 'cool girl hair' and OPI were on hand, literally, to make sure everyone had perfect nails. What's it really like to be a model? With Karlie Kloss, Rosie Hungtington-Whiteley, Jourdan Dunn & Edie Campbell. I have to say I really loved this talk, each of the girls were full of such personality and not to mention, ridiculously beautiful in person. They covered many subjects, such as, where they all first started out, how they initially got in to the modelling industry, the pressures and benefits of being a model and just generally how they deal with day to day life in the eye of the media. Vogue's Fashion Masterclass with Alexandra Shulman - Editor of Vogue, Sarah Burton - Creative director, Alexander McQueen, Lisa Armstrong - Fashion editor, The Daily Telegraph, Daniel Marks - Director, The Communication Store & Louise Wilson - Course Director at Central St Martins. The panel were on hand to give the best advice on how to get ahead in fashion and I certainly left fully equipped with plenty of informative information and useful tips. With Naomi Campbell and Editor of Vogue Italia, Franca Sozzani. After watching Naomi Campbell on the Face, I had the conception that she was totally terrifying and how wrong I was, I mean she is probably terrifying when necessary but she came across as such a lovely person in her interview, one who genuinely cares, for example, all the charity work Naomi has been involved in and her passion for promoting 'models of colour'. Franca was just hilarious, she certainly had the crowd in laughter, you can tell both these ladies have an amazing friendship. One of the best parts of the talk has to be when a very excitable and dedicated fan stood up and asked Naomi a question, he was wearing a t-shirt with her face on and even had her cindy doll in his bag, you see what I mean by dedicated? He was just brilliant and his question lead onto Naomi revealing her plans for three upcoming book releases and how she hopes to launch her own fashion line for 2015. How very exciting. "I'm nervous. I think it's good to be vulnerable and to show my vulnerability." - Naomi Campbell on photoshoots. 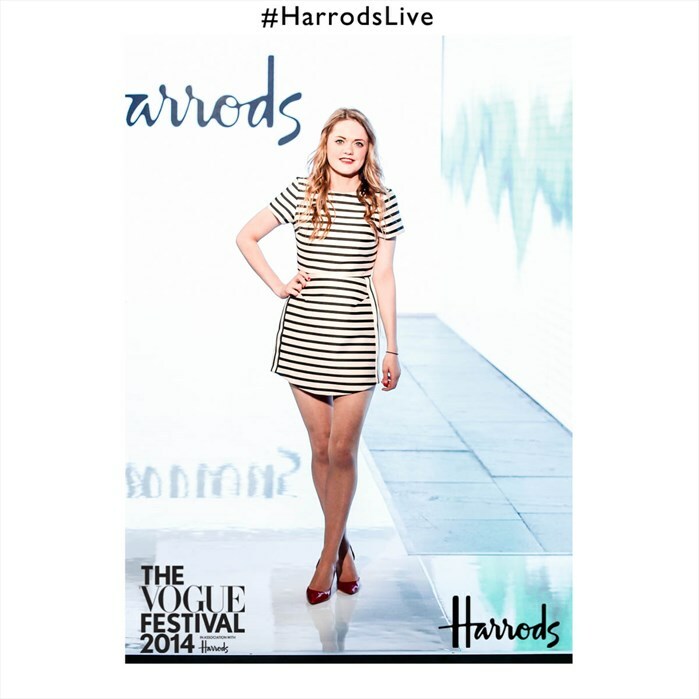 After venturing down to the Harrods Live space, we were asked to take part in the upcoming catwalk show- something totally out of my comfort zone as I seem to crumble in front of an audience of people eeeek. We went backstage, had our makeup touched up by the team at Bobbi Brown and the next thing I knew I was ready to go. I must say it wasn't as terrifying as I had imagined, although dopey doris over here walks down the wrong bit ...and I was the last person, so had to walk it twice. Round of applause for me being so stupid - I seem to have a habit of embarrassing myself. Ha ha ha ha. 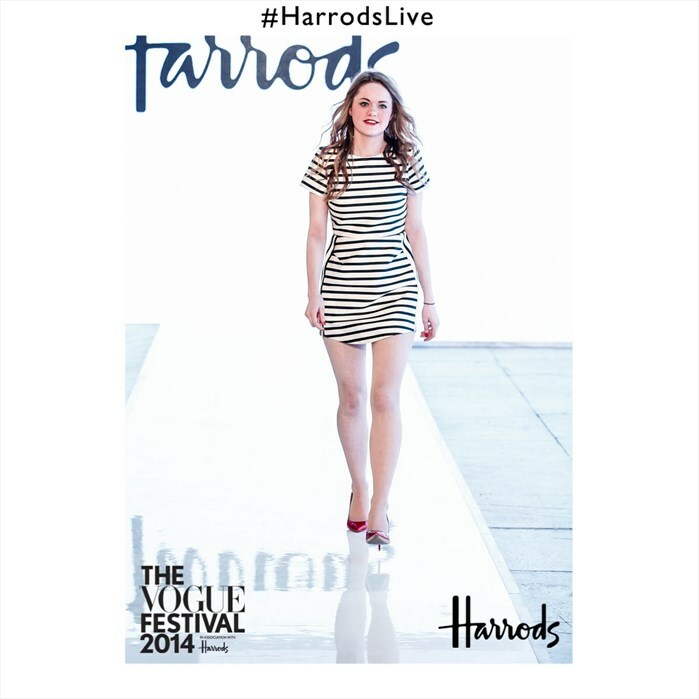 It was such an amazing experience provided by Harrods - what better way to showcase your own style than to strut down a catwalk surrounded by applause and have your photograph taken? The team did the best job at making it great fun for everyone. Having never been to The Vogue Festival before I had no idea what to expect and it certainly exceeded my expectations. 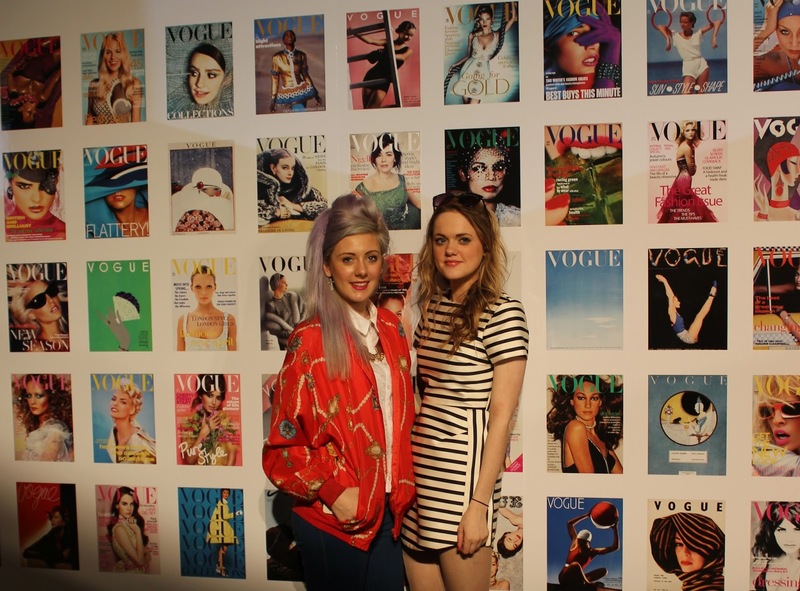 Vogue Festival is fabulous insight to the fashion world, jam packed with educational and inspiring advice. Catch up on all the exciting goings on of the weekend on Vogue. Here's a clip of the best bits..
in the video 3 times - featured on the Vogue website.